Midfielder Nicole Mettam has her heart set on a trip to France for next year’s FIFA U-20 Women’s World Cup but must first deal with the best the Pacific has to offer in the qualifying tournament next week on home soil. The Eastern Suburbs starlet will look to impress for New Zealand in the OFC U-19 Women’s Championship at Auckland’s Ngahue Reserve from Tuesday and is aiming to book a return to the global stage. Mettam was part of last year’s campaign at the FIFA U-17 Women’s World Cup in Jordan, where the Kiwis finished third in Group A after falling to Mexico and Spain but finishing their campaign on a high with a 5-0 thumping of the hosts. The 17-year-old says her Jordan sojourn was the defining moment of her career to date. “Jordan was obviously the biggest experience I have had in my life so far, it was amazing,” she recalls. Having earned a taste of what it’s like to take on the best in the world, Mettam is keen to savour many more such moments and took a step towards that after being named in Gareth Turnbull’s New Zealand squad for the OFC U-19 Women’s Championship. Mettam and co have home advantage for the tournament and are looking to claim their sixth title at this level. Turnbull’s side will meet Papua New Guinea in their first match and Mettam describes the Melanesians as being one of the tougher sides in the competition. “Papua New Guinea are physical and always up for a challenge,” she says. Mettam believes New Zealand will need to adjust their playing style for each match in order to qualify for the 2018 FIFA U-20 Women’s World Cup, held in France next August. 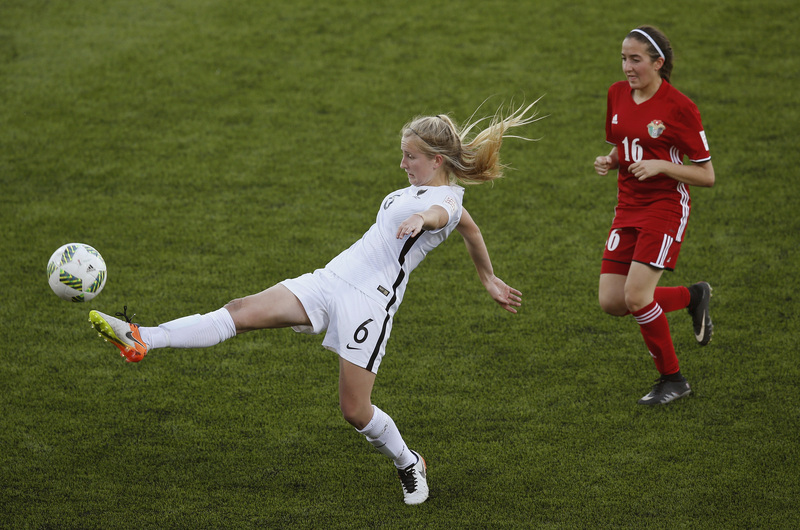 The talented teen is one of many members of the squad who are also part of the Football Ferns Development Programme (FFDP), an initiative put in place by New Zealand Football to help bridge the gap between the domestic game and international football. As one of the younger members of the ground-breaking programme, Mettam is constantly challenged as she rubs shoulders with the likes of senior internationals Victoria Esson, CJ Bott, Elizabeth Milne, Meikayla Moore and Annalie Longo. “Without having the FFDP this year, I don’t think I would have progressed as much as a footballer,” Mettam admits. Having spent recent months training and playing as part of the FFDP, Mettam is looking forward to again being part of an international tournament. “I am just really excited to be a part of it again and getting to wear the silver fern,” she says of next week’s event at Ngahue Reserve.